The U.S. Central Intelligence Agency (CIA) has disclosed that five of its officers have died in the line of duty while serving overseas, though only few details have been released. The deaths were disclosed on Wednesday after the intelligence agency held an annual memorial ceremony at its headquarters in Langley, Virginia, where the agency has a Memorial Wall emblazoned with stars to honor its fallen officers. One star was added to honor 48-year-old Mark S. Rausenberger, who was with the agency for 18 years and died while serving overseas. Details about the circumstances of his death are classified, but a notice from a funeral home in Virginia said Rausenberger died on May 23, 2016, while working in the Philippines. “[Mark] had extensive U.S. Government medical, security, and intelligence experience and served his country in combat zones and hot spots all over the world including Afghanistan, Iraq, and Somalia. He was an Army Veteran,” the notice said, adding that Rausenberger was originally from Davenport, Iowa. Stars have also been added for 4 other individuals but their names remain classified, suggesting that they were working undercover at the time of their death. Information about the place, time, and circumstances of their deaths is also classified. In addition to the newly-disclosed deaths, the CIA has also added 3 stars to honor David W. Bevan, Darrell A. Eubanks, and John S. Lewis. The men were killed on August 13, 1961, when their transport plane, a Curtiss C-46F aircraft, crashed near Pha Khao in Laos. Two other crew members were also killed. Air America was owned by the CIA and secretly posed as a passenger and cargo airline. The plane that crashed in Laos in 1961 was dropping cargo in support of General Vang Pao’s Hmong army when they apparently experienced a mechanical problem, according to Smokejumper magazine in 2004. 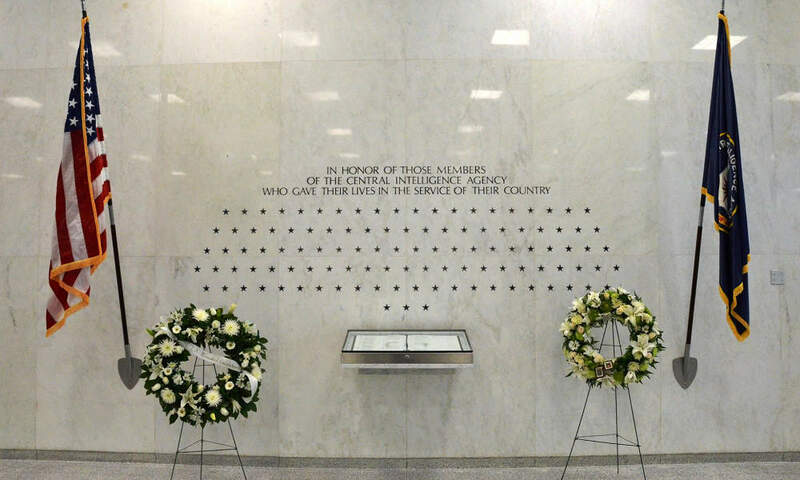 The CIA’s Memorial Wall was first dedicated in 1974 to honor 31 people who died in the line of duty since the agency’s founding in 1947. A memorial service has taken place each year since 1987 to add new names to the wall, which now has 125 stars.